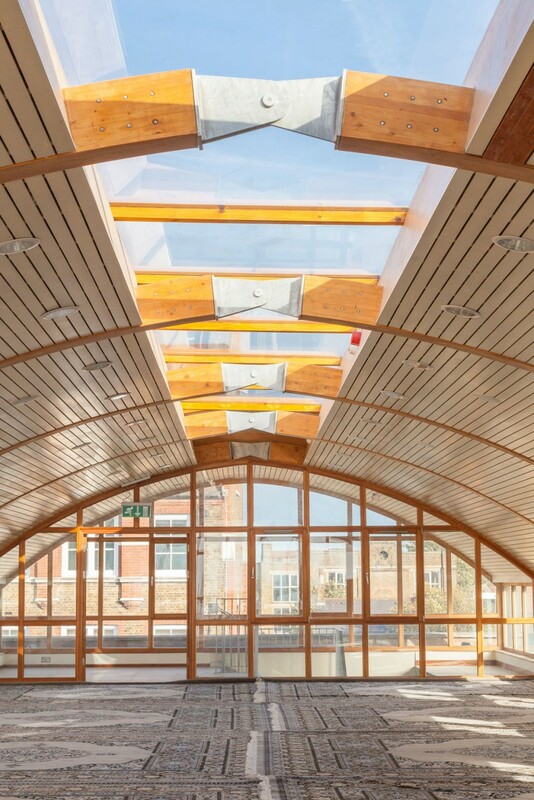 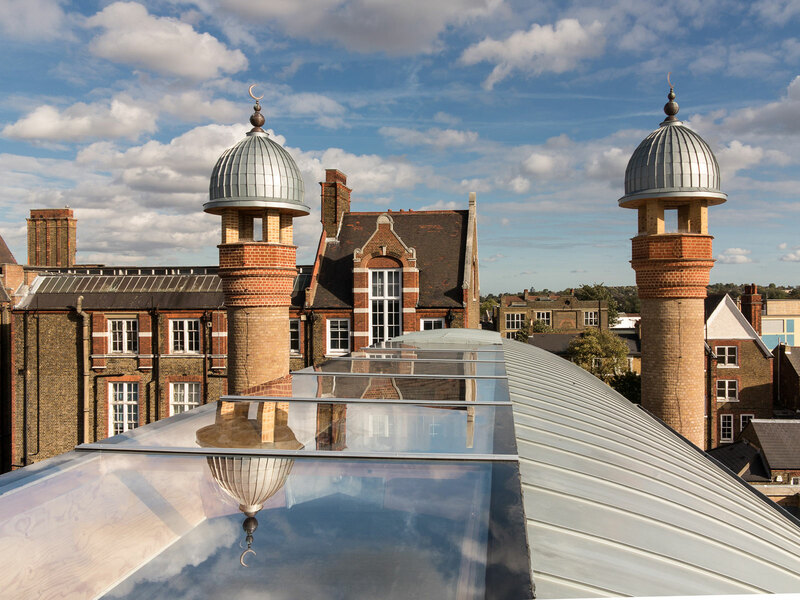 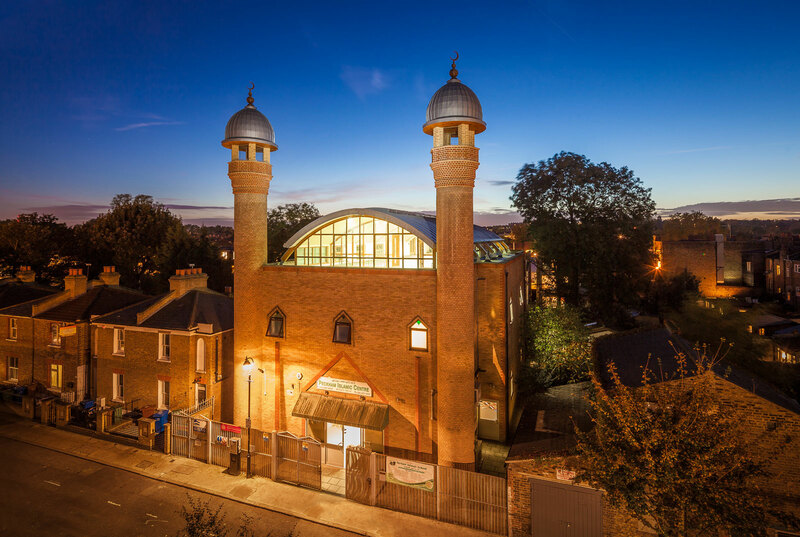 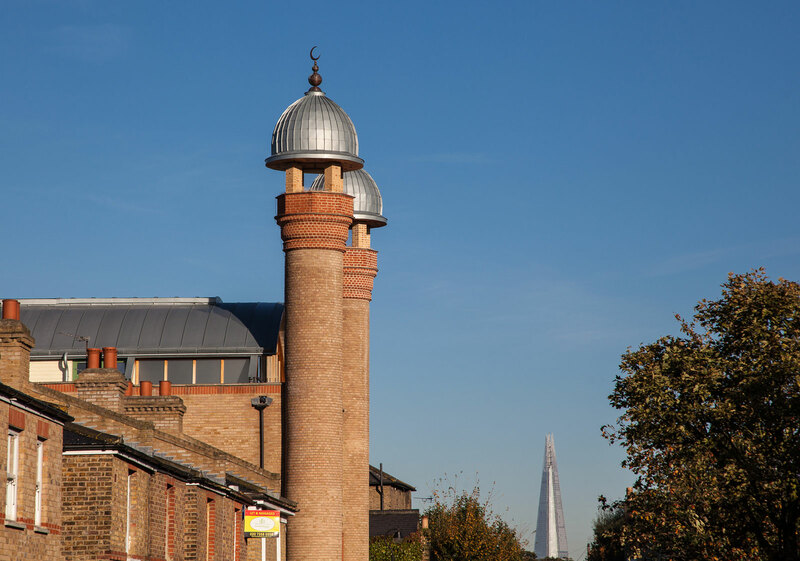 This project completes a 1990s South London mosque left unfinished for a decade. 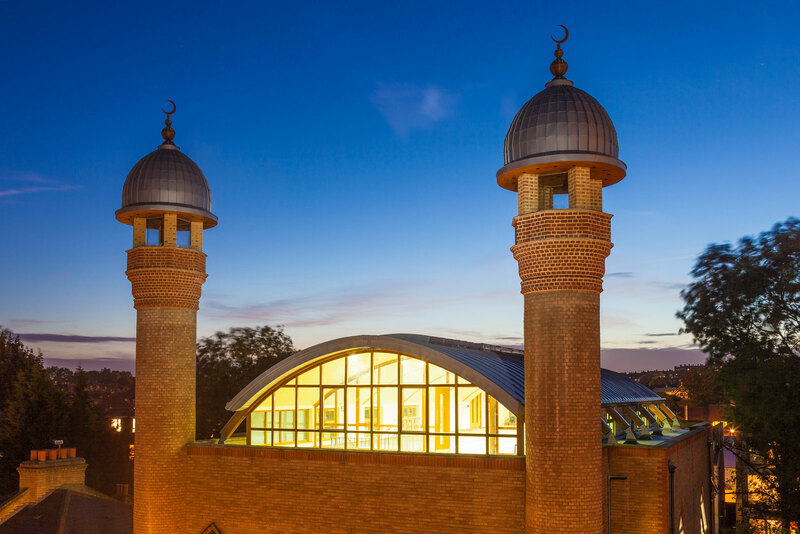 The scheme creates a new barrel vaulted prayer hall on the mosque’s roof and completes the two unfinished minarets. 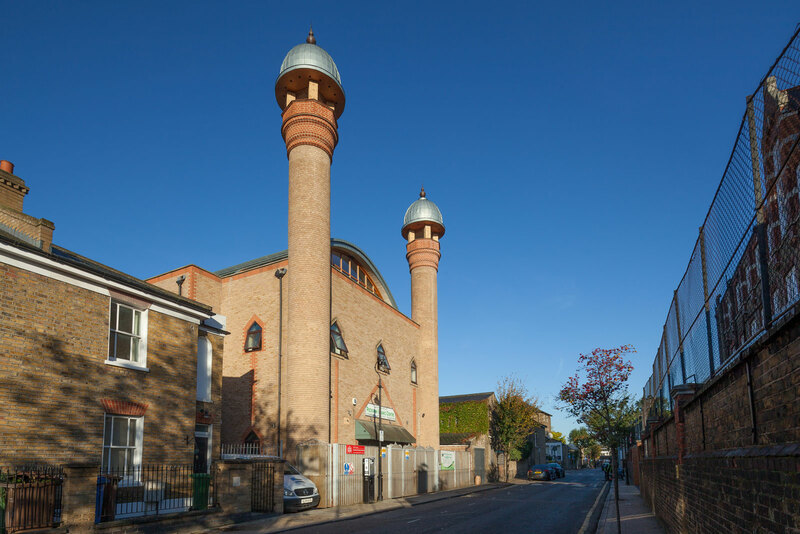 This Peckham Mosque occupies a prominent site on the edge of the leafy Holly Grove Conservation area. 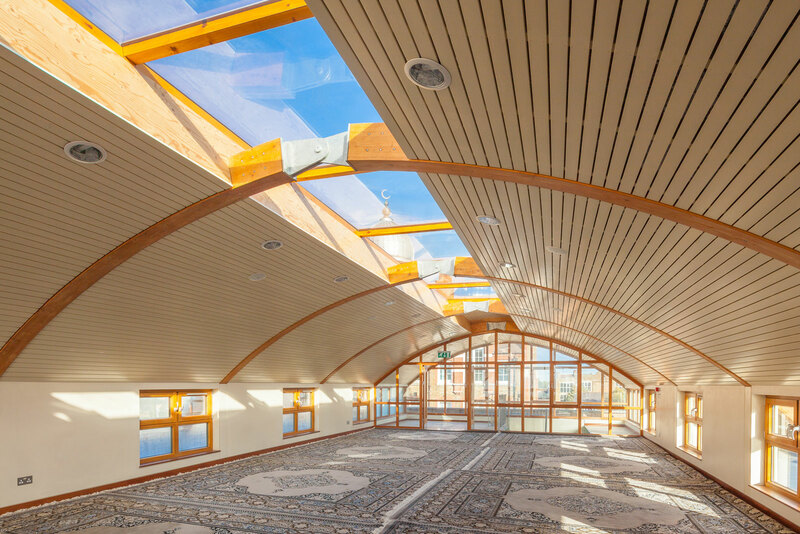 The strong form of a curved, laminated-timber roof creates a positive top to the mosque where there was once a flat roof. 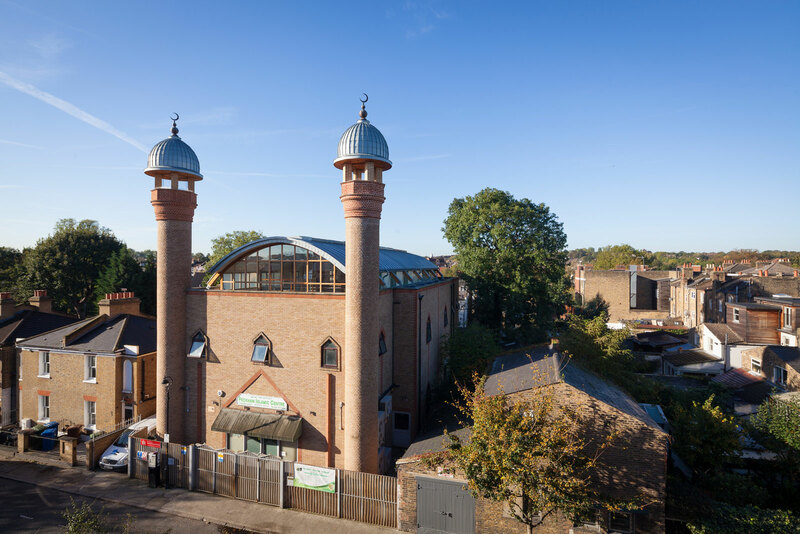 The two domed minarets blend Islamic forms with vernacular English materials: bricks and tiles from Dorset. 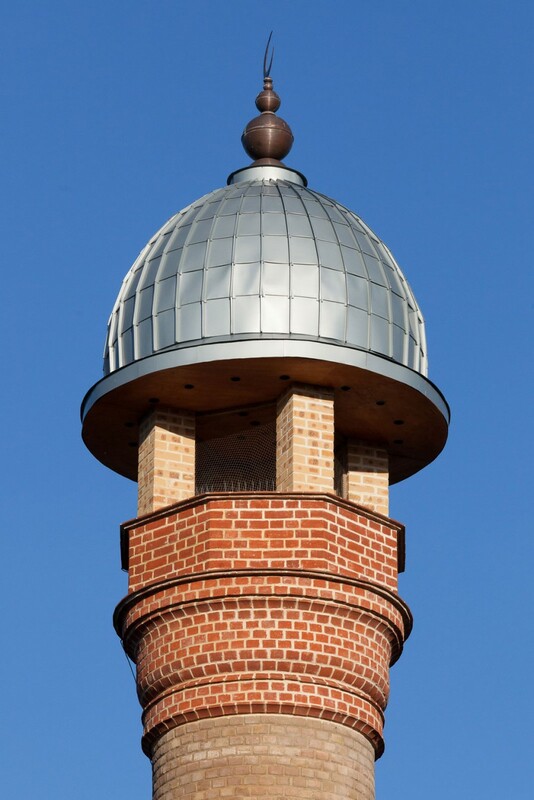 These strong earth colours are complemented with the grey zinc domes and the sweep of the main, zinc-clad timber roof. 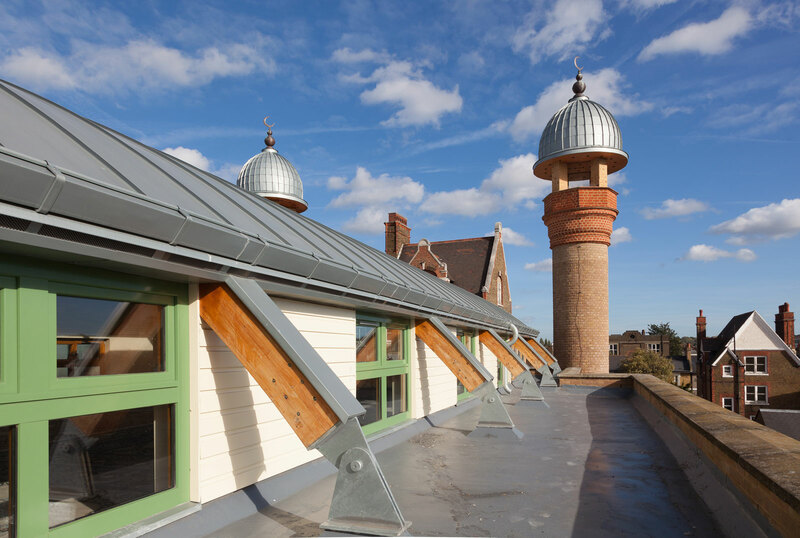 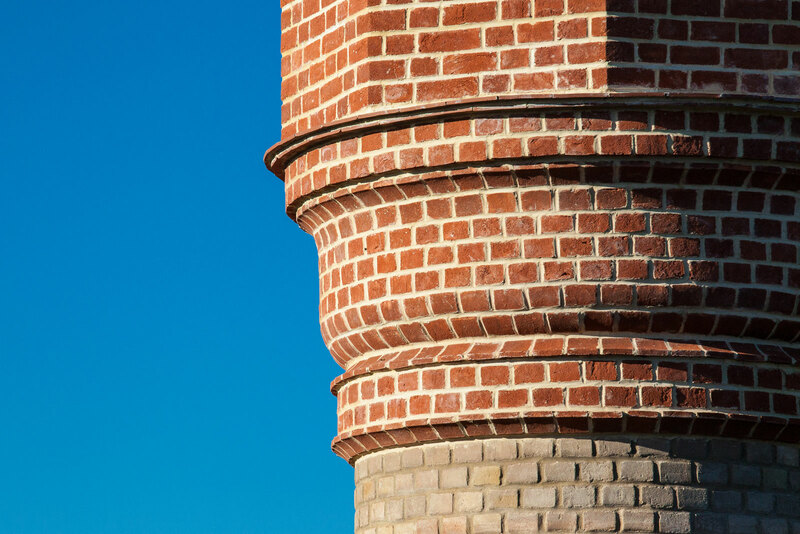 The colour and hand-crafted details of the new towers strike up a spirited conversation with the polychrome brick Victorian Board School Opposite! 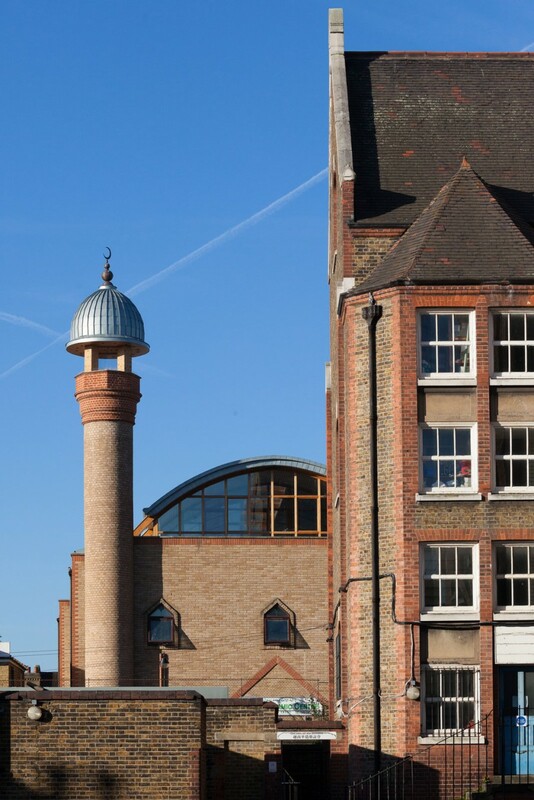 The minarets have been nominated for the 2013 Brick Awards.